As graduation season comes to an end, thousands of new graduates throughout the region are packing up the knowledge and experience they’ve gained over the last few years and embarking on an adventure to put that wisdom into practice. 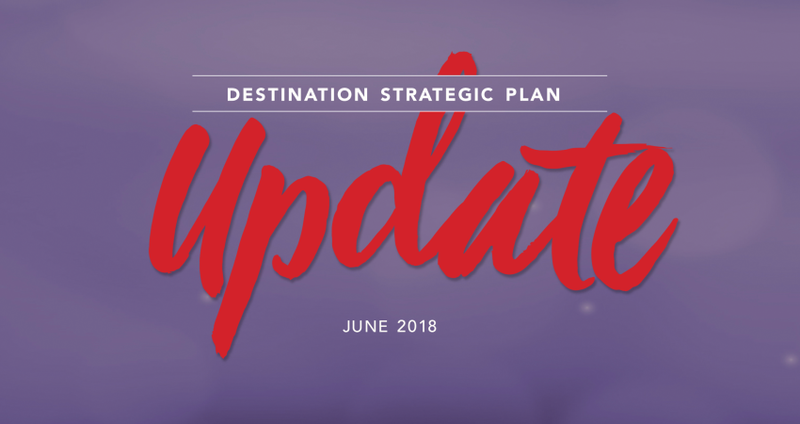 In a similar vein, the GRCVB, our hospitality partners and leaders in Wake County’s communities are anticipating the delivery of the final report of the Destination Strategic Plan (DSP) and preparing for ways to act on the resulting recommendations. This week, the JLL consulting team that is helping to craft the DSP will make their last visit to Raleigh/Wake County before their unveiling of the DSP at our Annual Meeting in August. After 10 months of surveying stakeholders, gathering data and assessing our destination, they are refining a set of recommendations to help us reach the goal of welcoming 19.5 million visitors by 2028. The DSP will be a road map for our area to enhance visitation and overall marketability. Every community has a lot to offer: We already knew that Wake County is rich with quality of place assets that translate easily into destination assets. The Situational Assessment completed by the JLL team validates that claim and shows us the true depth and variety of experiences available to visitors: from craft distilleries, to nationally recognized events, to world-class meeting and sports venues. It&apos;s still about the people: While many of our amenities and potential experiences set Raleigh, N.C., apart to attract visitors, another asset that we possess (that not many others can claim) are the innovative, creative and welcoming people who call the Raleigh area home. They/we are a crucial part of the experience of visiting; touting and sharing their connection to our tourism infrastructure will continue to set our destination apart. Some things will stay the same, but others will need to change: We haven’t welcomed record numbers of visitors year after year or won “best places” accolades by accident. We didn’t embark on the DSP because we felt something was missing; we did it because we wanted to figure out how to be even better. As the recommendations take shape and we share them with our partners and stakeholders, putting it all together will mean strengthening those activities we already do well and making tweaks and changes in the way we interact as a destination to ensure we stand out above our competition. The shared vision will be the foundation for future success: One of the main goals of the DSP was to engage with our partners and stakeholders to build a shared vision for what we want our destination to be in 2028. By having discussion about what’s most important to Raleigh/Wake County and how to ensure partners and communities are as active and involved as they want to be, we’ve begun to chart out shared priorities. As we embark on the DSP execution, one goal will be taking the multitudes of points of light and destination assets and creating a spotlight on all that Raleigh, N.C., has to offer its visitors.